Win a stylish LG GD900 Crystal phone! Sheylara.com, in partnership with LG, is giving away a brand new LG GD900 Crystal, the world’s first transparent design phone. It’s so gorgeous and totally cool, being a cutting-edge smartphone that also doubles up as a fashion accessory! We really need more of these in the world! Made with tempered glass, the keypad slides open to reveal a bluish-white glow that illuminates the numbers so you can see what you’re dialling. Sorry my photo is quite crappy but you get the rough idea. The keypad basically acts like a laptop touchpad, used to navigate phone functions. You could even make your own shortcut symbols to instantly access favourite features. For example, you might tell your phone that if you draw a circle on the keypad, it should open up an Internet browser. Or anything like that! You could also navigate around the phone by using the 3-inch WVGA LCD touchscreen. Very flexible. Here’s how it looks with the keypad slid home. Check out this video to see how awesome it is! Win an LG GD900 Crystal!! We’re looking for creative, funny, witty, clever, outstanding, interesting, or any combination of those. The writer of the best caption, to be judged by LG, will win the phone! Please e-mail your caption to lg@sheylara.com, together with your name and phone number. Post a comment here about anything, using the same name. Closing date is June 19, 2009, 11:59 pm. So let me see. I have a great caption, but if I win I have to fly to Singapore and get the phone from you and fly back home. Hope I win the phone! OMG! Love the phone so much! Hehe that’s an awesome phone! Nice & Awesome phone ! (: I had sent you my caption ! Keep the entries coming, all! “i did shave my armpit today” hows that for caption? nice phone you got there. will definitely send you a caption. hahaha. Submitted. Now to use my Jedi mind tricks…. this phone is so chio! i will definitely show off this phone, if i have it, to all my friends until THEY GOT THE SAME CHIO PHONE AS ME! SUBMITEED! That’s really a great phone! Can’t wait to see one in real life, even better own one! Can’t wait to get my hands on this phone! I hope I win this phone! Ok, sent in a caption! I’ve submitted my attempt. Do need a phone to replace my current phone before it decides to fly off to handphone heaven. What a beauty~! Caption had sent! Thanks! Nice phone, nice girl, nice contest. More power. 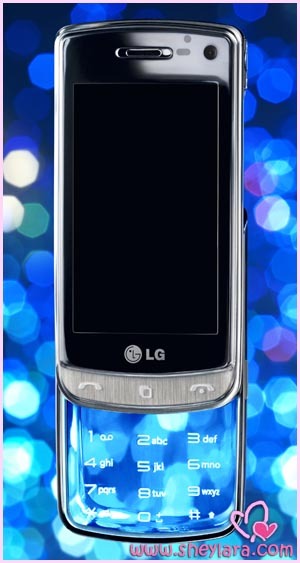 Thats an awesome fashion statement, having a LG GD900 Crystal phone around. thanks for the contest. It’s great to know of such a cool phone. gorgeous phone! i want it!! Submitted ! dont pick me ! Pingback: Win “LG-GD900 Transparent Phone” Online Contest 3! | Where got Free? Really love the crystal panel, really an innovative ideal. its really a cool phone & i believe u guys had give it all to the photo shoot.. but please..do look forward & improve. cheers. keep up d effort. Love the LG Crystal! Innovation at its best. I submitted! Cross my finger and good luck to me! nv use lg phone before leh. i suppose it’ll be an eye opener. Love the models. Both of them :P Entry submitted! Hi, Sheylara, I submitted my humble caption. I love it as it’s so Cool and stylish. You r so cool to hav this contest, the hp lks very niceeee!! Hi Sheylara, I have submitted a roughly 20 words caption. I hope it is not too long for a caption or title. Nice photo anyway. Look forward for more contests. Thanks for the contest and gd luck to me!! My baby in my tummy will give me the luck. I hope I get it ! ^^. A beautiful phone , my daughter would love one. Thanks for informing me in due course where to self-collect the awesomest LG GD300 from! The guy who ask you how to pronounce your name at the Flash Mob if you remember. You are really gorgeous that day! Was great to see you in person for the 1st time even though I saw u on TV before. Woah! That’s an awesome phone!! :) Keep smiling and take care in the hot weather. Sheylara: We have upload the picture we took together in our blogpost! You may grab it if you want. The last photo is funny !!!! Sent in my caption, looks like a superb phone! fabulous website! and a fabulous phone. LG is such an awesome company, wishing for more contest. Not too punny, I hope! love your funny site ! Just nice, just in the nick of time. Nice touch writing the message on a transparent board. What luck! I’m currently overseas in Taiwanand decided to visit to your blog for the first time as I’ve been reading STOMP’s Star Blog recently and you’re quite funny. And somehow I just chanced upon this contest. Sent in my entry as well. It must be everybody’s dream phone! I want! I want this mobile phone now!! Time I get a sophisticated phone… (: Wish me luck…. Well, well I’ve sent in my entry. Hope that I can get this phone for absolutely free. Such a beauty deserves babelicious owners like U n Me!